A selection of 9 of the finest loose leaf teas and tisanes that can be blended to create your own herbal tea blends. 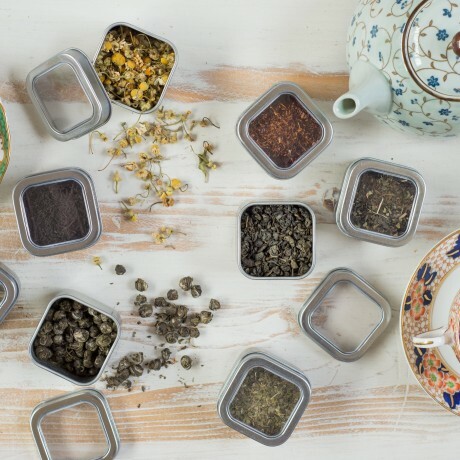 Chamomile (5g), Gunpowder (15g), Jasmine Pearls (15g), Keemun (20g), Lemongrass (7g), Peppermint (12g), Rose Buds (7g), Vanilla Rooibos (15g) and Yerba Mate (15g). 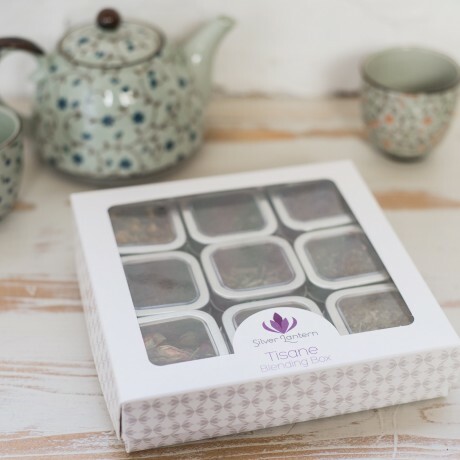 The teas are packaged in reusable individual tins. 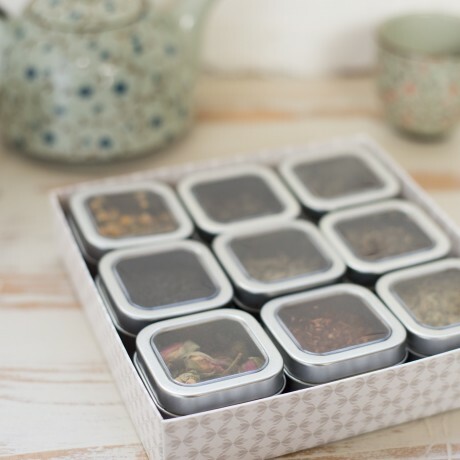 Each tin contains 5-20g of loose leaf tea which is enough to make 10-20 cups of tea. Seven of the teas have been awarded Gold Stars at the Great Taste Awards, so you can rest assured that you are receiving the finest quality tea. 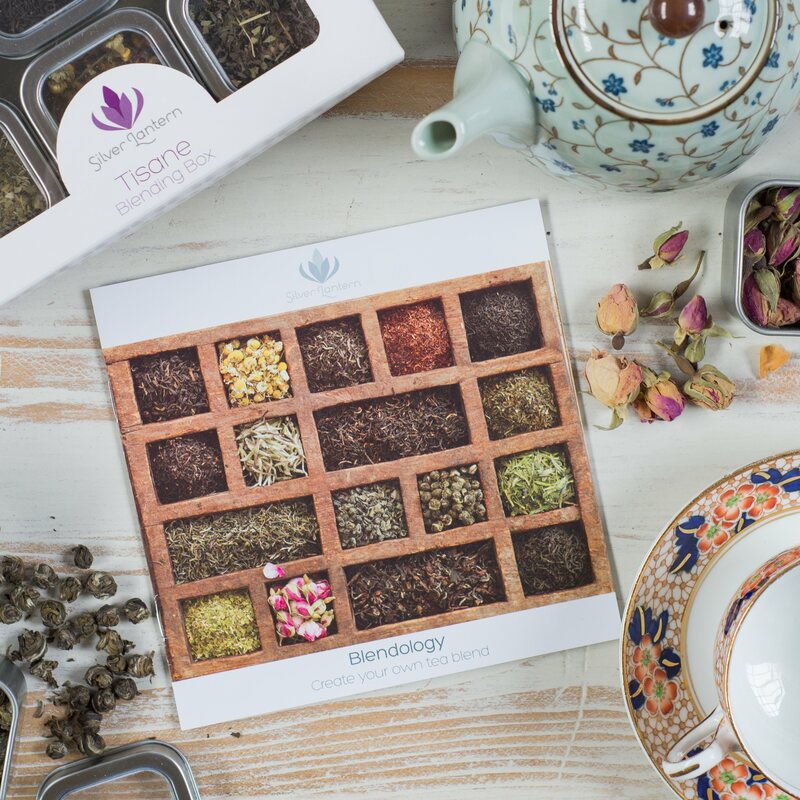 These teas & herbal teas can be enjoyed on their own or combined to create such delicious tea blends as Moroccan Mint, Rose tea & Citrus Chamomile. Full blending instructions and recipes are included.